여러분 안녕하십니까? 웰컴투아메리카의 박형권입니다. 오늘도 ‘Leora Andersen’이 자리를 같이 합니다. It’s good to be here again. 지난 번에 보니까 리오라 선생님 승용차 범퍼에 무슨 스티커가 붙어 있더군요. I do have a bumper sticker on my car. I BRAKE FOR GARAGE SALES. Every time I see a garage sale sign, I like to stop and see what kind of bargains I can find. Oh, of course. That’s how I met my husband. Yes, I like to go to garage sales and see what kind of interesting things people have for sale. How about your car? Do you have a bumper sticker on your car? 저는 여성 운전자들을 조심하라는 스티커를 붙이고 다닙니다. So, there’re a lot of bumper stickers out there that make fun of woman drivers. 여러 가지 일들에 관해 풍자하는 범퍼 스티커들이 있지요? Yes, there’re bumper stickers that make fun of a lot of things. And there’re bumper stickers that display what kind of hobbies you like, and what kind of animals, what kind of dogs, what kind of cats, and a lot of your political voice. There’re a lot of funny ones. Do you want to hear some? 범퍼 스티커 중에서 우선 오래된 것, 전형적인 것들은 무엇이 있을까요? There’re bumper stickers that say, “I LOVE MY DOG”. Or if I have a poodle, it would say, “I LOVE MY POODLE”. A lot of times people would put a bumper sticker on that says “BABY ON BOARD,” telling people to be careful when they drive because they have a baby in the car. One of the things that people put on their bumper stickers is I BRAKE for different things. And one bumper sticker might say “I BRAKE FOR NO APPARENT REASON”. “I brake for animals. (저는 동물이 지나가면 차를 세웁니다. )”와 같은 내용을 장난스럽게 바꿔 만든 스티커이죠. 바짝 뒤따라 오지 말라는 경고일 수도 있고요. 그리고 낡고 허름한 차에 사람들이 흔히 붙이고 다니던 스티커가 있지요. MY OTHER CAR IS A PORSCHE or MY OTHER CAR IS MERCESED BENZ. 그런데 요즘은 좀 색다른 스티커들이 있더군요. Yes, now people make fun of that and put on there, “MY OTHER CAR IS ALSO A PIECE OF JUNK”. My other car is also a piece of junk. There’re lots of stickers that people put on there to make fun of things. “MY WIFE’S OTHER CAR IS A BROOM” is a sticker that husbands like to put on their cars sometimes. Flying on a broom, or riding on a broom is normally associated with a witch. So sometimes husbands like to make fun of their wives. Bumper stickers will make you chuckle while you’re driving. 제가 여행을 하는 동안 스티커를 잔뜩 붙이고 다니는 차량을 발견했는데요, 내용은 이렇습니다. 범퍼스티커를 정치적인 목적으로 사용하기도 하지요. 특히 지난 해 선거로 인해 각기 다른 후보자들을 지지하는 범퍼스티커가 많았습니다. 그리고 특정 스포츠 팀을 응원하는 스티커도 있고요. 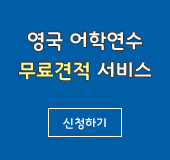 보통 많은 사람들은 자신들이 좋아하는 스포츠 팀을 응원하는 범퍼스티커를 하고 다닙니다. 그리고 아주 흔한 스티커 중에 하나가 “나도 저 바비 인형처럼 되고 싶어. 쟤가 모든 걸 다 가졌으니까.”라는 스티커도 있지요. I want to be just like Barbie, she has everything. 웰컴투아메리카, 오늘은 차량에 붙이는 범퍼스티커에 관한 이야기를 나눠봤습니다. 지금까지 저 박형권이었고요, 리오라 앤더슨과 함께 했습니다. 행복한 주말 보내시길 바라고요, 저희는 다음 주 이 시간에 다시 찾아뵙겠습니다. 안녕히 계십시오.